US senators backed measure accusing MBS of ordering Khashoggi’s murder, urged end to support for Saudi-led Yemen war. Saudi Arabia has denounced as “blatant interference” a resolution by the US Senate accusing the kingdom’s crown prince of ordering the murder of journalist Jamal Khashoggi and calling for an end to Washington’s military support for a Riyadh-led war in Yemen. The Senate’s move last week dealt a new warning to US President Donald Trump, who has repeatedly signalled his backing for the Saudi leadership even amid a mounting outcry the killing of Khashoggi, a critic of the powerful Crown Prince Mohammed bin Salman, and the devastating Yemen conflict. “The recent position of the United States Senate, which has been built on baseless allegations and accusations, includes blatant interference in its internal affairs and the role of the kingdom at the regional and international level”, the Saudi foreign ministry said in a statement released by the Saudi Press Agency on Monday. Khashoggi, a Washington Post contributor, was murdered on October 2 after entering the Saudi consulate in the Turkish city of Istanbul to obtain documents needed for his planned marriage. In a unanimous vote on Thursday, the Senate approved the resolution condemning Khashoggi’s murder and calling Prince Mohammed – also known as MBS – “responsible” for it. The senators’ move came after senior intelligence officials from the US spy agency reportedly said that such an operation would have needed the approval of MBS, the kingdom’s de facto leader. 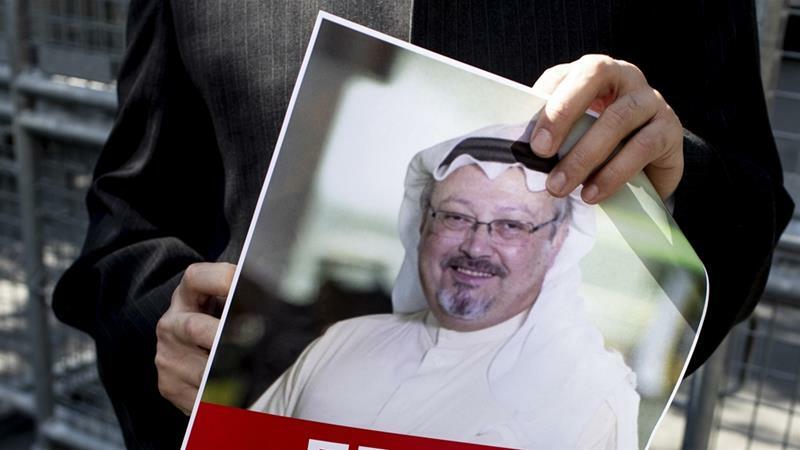 After giving contradictory statements about the whereabouts of Khashoggi, Saudi Arabia admitted that the writer was killed inside its consulate and his body was dismembered. The kingdom maintains that Prince Mohammed had no knowledge of the killing, which Turkey said was ordered at the highest level of Saudi leadership. “The kingdom has previously asserted that the murder of Saudi citizen Jamal Khashoggi is a deplorable crime that does not reflect the Kingdom’s policy nor its institutions and reaffirms its rejection of any attempts to take the case out of the path of justice in the kingdom,” the Saudi foreign ministry’s statement said. On the Senate’s Yemen measure, which more broadly attacks Trump’s prerogative to launch military actions, 49 Democrats or their allies voted in favour, along with seven Republicans, while another three Republicans abstained. Since then, the US has been helping the Saudi-UAE military alliance with weaponry and logistical support. Until recently, it was also refuelling the alliance’s fighter jets which were responsible for the more than 18,000 raids carried out on the war-ravaged country, which, according to the United Nations is the worst humanitarian crisis in the world. More than three-quarters of Yemen’s population – some 22 million people – need humanitarian assistance, while 11 million require dire help in order to survive. The Senate resolutions cannot be debated in the House of Representatives before January, and are likely be vetoed in any case by Trump. In its statement, the Saudi foreign ministry said “the kingdom hopes that it is not drawn into domestic political debates in the United States of America, to avoid any ramifications on the ties between the two countries that could have significant negative impacts on this important strategic relationship”. Thanks for sharing this article. I was anyway shaken with the brutal act of killing khashoggi- anything in the name of power , politics and god. Your welcome, and thank you for taking of your time to drop a note. To me, if hate, if murder, is condoned in our religion, is it we who doesn’t get it, or is it their G-d? Either the Soldier did or did not follow the rules of their G-d when Mr. Khashoggi was cut apart at their hands? If their G-d failed here speak up now but if it does indeed lead straight back to MBS, now what? It looks like the world is going to have some very big changes in the next couple of years. Not for the better I believe. This is one of the reasons that it is so difficult to separate one’s belief of a moral system and a reality of where you must kill if you wish to not be killed. Morals and Power or even the wish to stay alive steps all over how we act, in reality. Cases like this one, where it seems to be an absolute that MBS is the reason for the murder of Mr. Khashoggi, how does the world respond? Integrity and Morals, or strictually financials? People do not matter, only their wealth level matters. Yes, I know that it will, so sad that some folks think it is okay to act so evil. Yup ! Hope sustains life ! While it is obvious to all that MBS is the one who ordered the murder of Khashoggi, it is good to see the US senate show some moral backbone in defiance of President Trump. It is appalling that any leader of a democratic country puts financial gain above upholding the values America used to stand for.